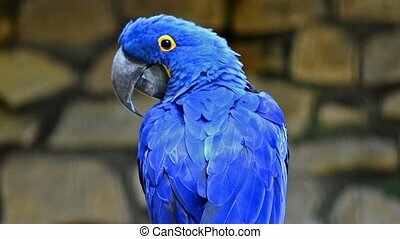 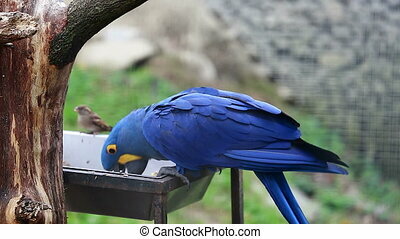 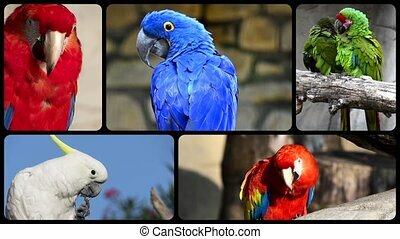 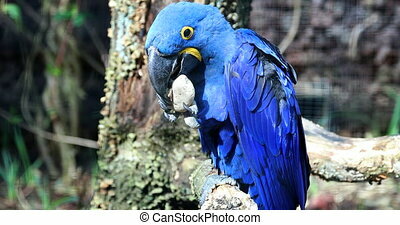 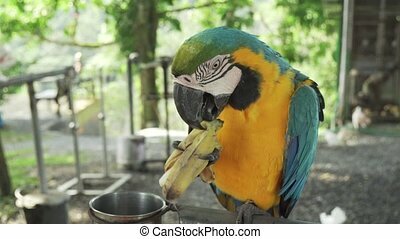 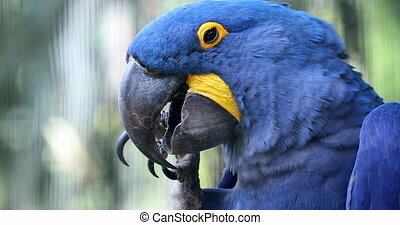 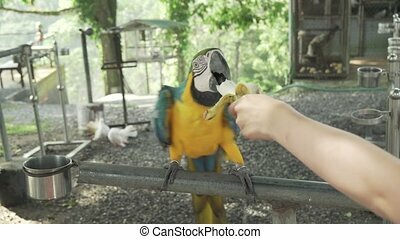 Beautiful hyacinth macaw. 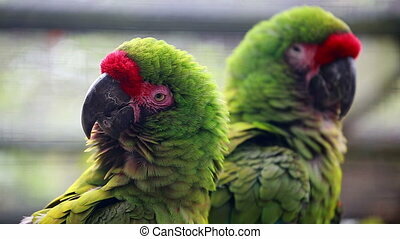 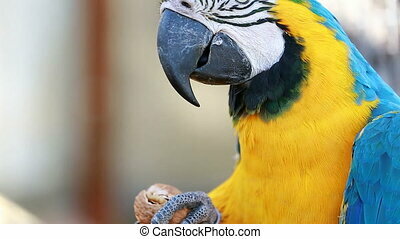 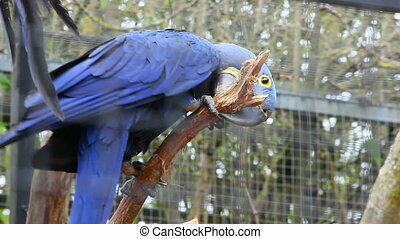 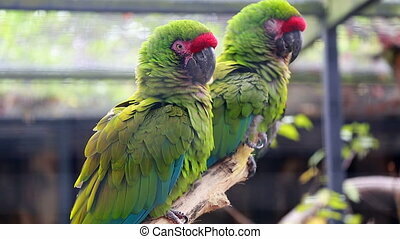 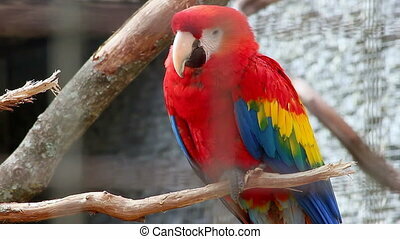 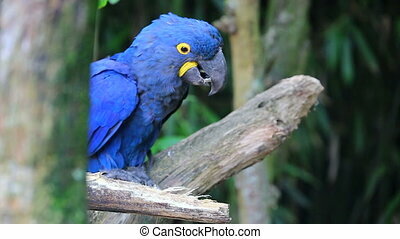 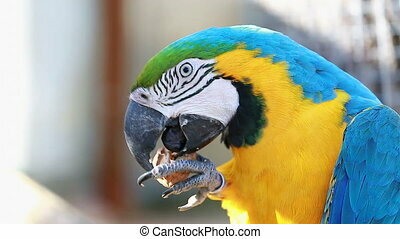 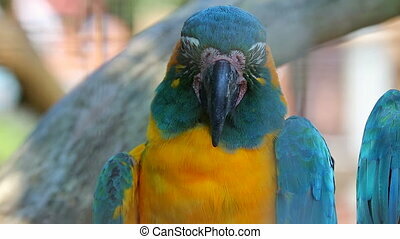 Colorful hyacinth macaw perched on tree branch - closeup portrait. 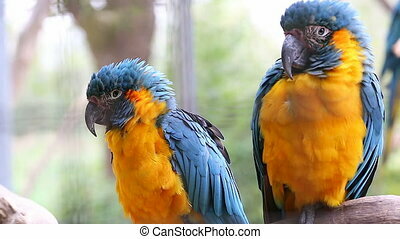 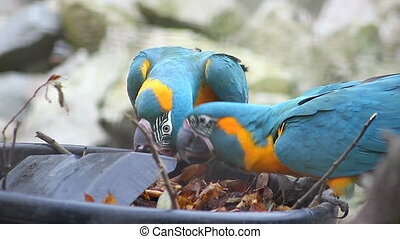 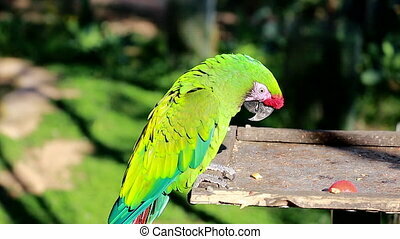 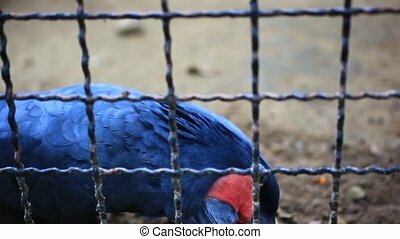 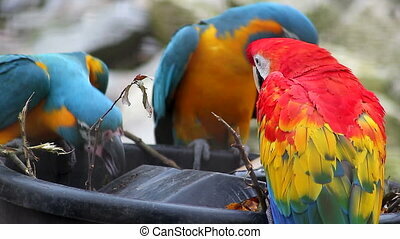 Blue Parrot in the cage.